This home has been expanded to 2100+ sq ft and has a new roof, HVAC, stainless steel appliances, all new plumbing and electrical. Every counter top and vanity is granite, and all vanities are hand made in solid wood. No detail has been spared in updating this unique residence. Location, location, location plays a big part in the desirability of this property. Walk to Phillipi Shores Elementary, with The Landings shopping center conveniently close by. Please contact me for a showing. I have a new listing for sale in the golf course community of Sarasota National in Venice for $265,900 (reduced price!). 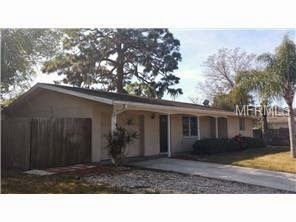 Come to the Open House this coming Saturday 3/28 from 11a-2pm. Townhomes are not that common in Venice. 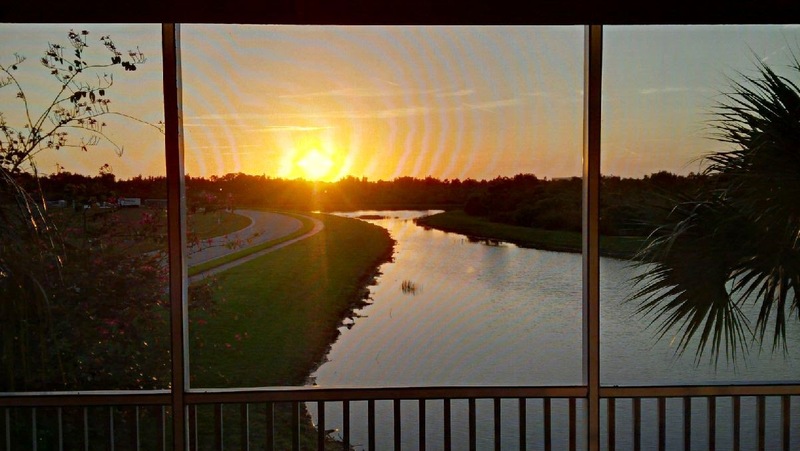 This one is a true 3 bedroom, 2 bath condo with split plan and a beautiful lake view. This former builder model townhome built in 2007 has an upgraded kitchen and a newer HVAC system replaced in 2014, with a 10 year transferrable warranty. The original owners have never rented and used it sparingly as a seasonal residence. Coming soon: a 20,000 sq. ft. "Palm Court", featuring zero-entry pool, lap pool, kids play area, outdoor bar and patio, coffee room, library, and more. Get the floor plan here. See a rendering of the Palm court here. You can visit the website for this property here. The full-sized 2 car garage has plenty of space for beach toys and bike storage. 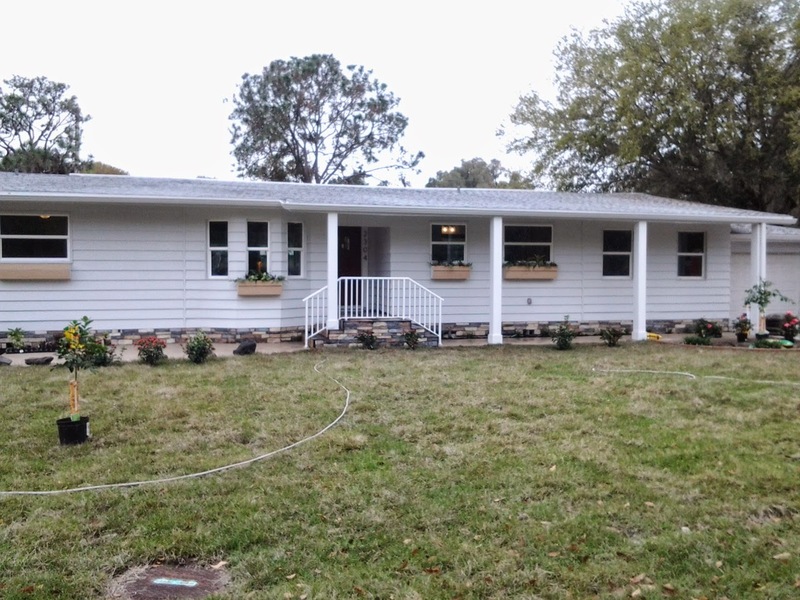 Compare to similar sized new construction in Sarasota National priced over $319,000. Sarasota County has come out with new flood zone maps that have everyone talking. 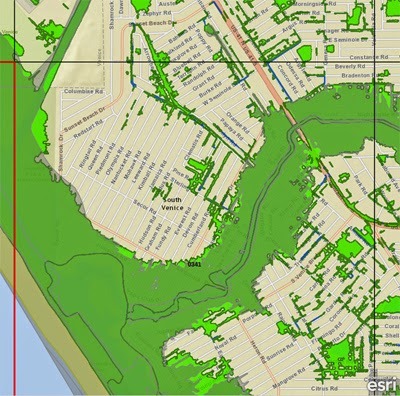 The darker green shows the existing FEMA AE zone, and the lighter green shade shows the preliminary changes to the 2016 AE flood zone. If your home was re-zoned into a high risk area, there are steps you can take to mitigate flood insurance costs. Please visit my website to learn more about flood insurance in Venice. 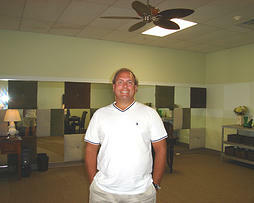 I've added a very useful, exclusive tool for Venice FL home sellers on my website, www.davidbarrhomes.com. It will also be extremely useful for home buyers as well. Home buyers today are highly educated and ask a lot of questions before deciding to make a real estate purchase. I now provide an on-line questionnaire for home sellers, based on the most common questions buyers ask. In case you want to go old-school, I also provide a link for you to download the form. The more information a buyer has, the faster they can make a decision and the faster your Venice, FL property will sell. Visit http://goo.gl/oZSMzO and see the new, exclusive tools for sellers. What are short sales? Short sales occur when the home is worth less than the mortgage amount, and the owner is experiencing financial hardship. They must prove hardship to their lender. Are short sales easy to buy? More is involved in buying a short sale than a regular transaction. Sometimes the lender provides a price in advance at which they agree to sell the property. Most times the listing real estate agent sets the price to get an offer, which is then submitted to the lender for approval. The bank may agree to sell the home at a price higher than list price. The buyer may also have to pay past due homeowner or condo association fees, past due property taxes, or any other outstanding liens on the property to get clear title at closing.